One of the most (if not the most) important aspects of any good relationship is communication. Having strong communication skills will help you and your partner to get through nearly anything. Keep in mind that communicating with your partner isn’t always easy. Also, it isn’t always about positive things. So, how do you approach discussing a not-so-positive topic without hurting your partner and your relationship? Constructive feedback can be of both a positive and negative nature. Positive feedback is certainly much easier to give and for your partner to receive. If you have a negative topic to discuss with your partner, it can still be handled constructively. That doesn’t mean you need to communicate differently or with a negative tone. It just means you need to understand how to give constructive feedback on a negative subject to your partner in a way that strengthens and builds your relationship. It might sound easier said than done. But, it’s certainly not impossible to discuss a sensitive topic and provide constructive feedback to someone you love and experience positive results as you both move forward. 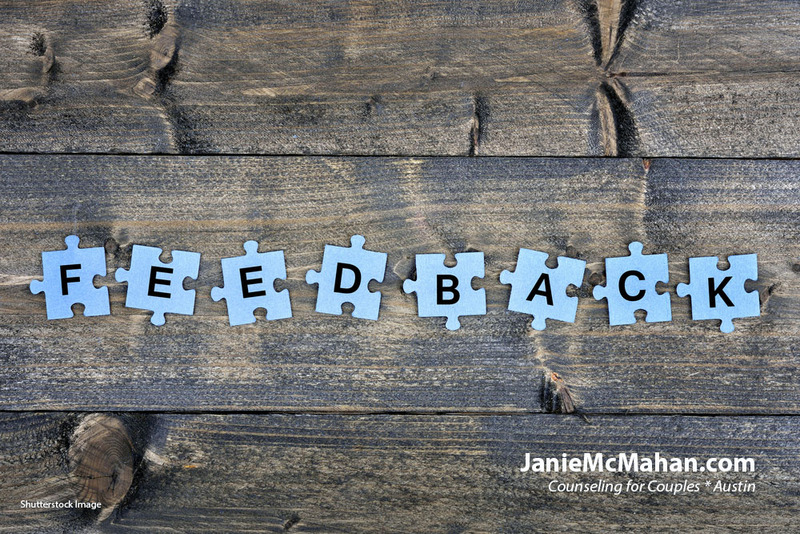 When offering constructive feedback, stick to the behavior or action you disapprove of and provide specific information that focuses on the issue of concern. Avoid directing your comments as “YOU” statements. This will put your partner on the defensive and runs the risk of your discussion getting off-topic. Don’t start talking about your partner’s character or personality. If you do, you’re making it a personal attack on them rather than the behavior or action that you want to discuss. Naturally, your partner may start to feel attacked, which can easily lead to an argument where both of you start to say things about the other person’s personality. Remember to initiate your conversation with a soft start. Keep your voice regulated, and your attitude loving and caring as you speak. It’s a good idea to use “I” statements when giving constructive feedback to your partner. Share how their negative behavior makes you feel rather than attacking them. Stick to the present moment and the present issue when giving constructive feedback. Bringing up problems from the past lets your partner know that you’re holding onto negativity. It also makes it easier for them to assume you have a problem with them and not the specific behavior. It doesn’t matter if you bring up something from five years ago or five days ago, it shouldn’t even be a consideration when you’re already giving constructive feedback about another issue. Additionally, the situation at hand needs to be discussed, resolved, and then dropped. There is no need to keep dragging it out or bringing it up, even if it’s just a few hours later. If you can communicate your thoughts and feelings effectively, a compromise can be reached, or the matter resolved. Once it’s in the past and you have both moved on, don’t hold onto it. When you want to improve communication with your partner, don’t only talk to them about negative things, or things that bother you. Be sure to give them positive feedback frequently, too. Make it a practice to consistently tell your partner about what they’re doing right or behaviors that you appreciate. Offer compliments and positive feedback daily! This will make it more likely for them to listen to you when you must talk about negative things. It also decreases the chance they’ll consider constructive feedback as a personal attack. Compliments are deserved from time to time. Couples that are willing to give them are better at establishing a firm foundation for excellent communication. There is always room for improvement in couples communication. As you grow as a couple, you’ll continue to learn things about each other. That includes how your partner responds to certain things, and what they need from you in the way you communicate. When you actively work to improve your communication with the person you love, you’ll undoubtedly end up learning more about yourself, too. Strong, productive communication is an important skill for both individuals in a relationship to learn and continue to improve. If you’re both committed to good communication with each other, it can make all the difference in how you handle disagreements and difficult conversations, and how well you can adapt to each other’s behaviors. Janie McMahan, MA, LMFT works with couples to help them build and maintain strong, healthy connections. If you and your partner struggle with communicating effectively, contact Janie at 512-362-8050 to schedule an appointment or a free, 30-minute consultation. Self-esteem and self-compassion sound very similar. After all, they involve how you view and treat yourself. However, they are very different perspectives. Knowing both, and the difference between them, is important for your mental well-being. Self-esteem is how confidently you view yourself and your abilities. University of Texas researcher, Dr. Kristen Neff, defines self-esteem as a “global evaluation of self-worth,” and asking yourself whether you are a good person or a bad person. Are you the kind of person that has always had the knack of knowing what to do? Do you take on a challenge with enthusiasm? Have you developed self-assurance regarding your abilities after years of practice? When you think about it, a part of self-esteem comes from the experiences that you have had throughout your lifetime, and the positive feedback you receive from others. These can include successes and how you responded to and recovered from failures. Both give you the knowledge, assurance, and confidence to know that you can handle the situation before you. Everyone, of course, likes to hear a compliment or praise, and feel that they are above average. Yet, if you rely only on this outside commendation and comparisons to boost your self-esteem, you may be disappointed. Self-esteem often depends on how successful we feel in areas of our lives that are important to us. At the first sign of struggle or hardship, that shell of confidence and self-esteem may shatter. True self-esteem, in contrast, comes not from accolades, but from the grit and skills acquired within through your life experience, and the compassion you show to yourself through the ups-and-downs of normal life experience. Do you learn from your mistakes or beat yourself up over them? Even when you do succeed, do you discount yourself? Do you give yourself the same kindness, patience, gentleness, and compassion during difficult times, as you would give a friend going through something similar? You may struggle with self-compassion if you regard yourself primarily with a negative point of view. This can have a serious impact on your relationships with others, as well as how you view yourself as a person. There is a big difference between these two perspectives. Self-esteem is directly related to confidence. On the other hand, self-compassion is how you treat yourself. The two can be interrelated, however. Research shows that being self-compassionate can lead to higher self-esteem. For example, let’s say you are a college student who has just received a poor grade on an exam. In the aftermath of receiving the poor grade, you could think that you are below average and don’t have what it takes to be in college to pursue your dreams and goals. You may compare your grade with those of your classmates who performed better on the exam and feel that you don’t measure up. With your self-esteem shattered over this one exam, you may consider yourself a failure. Or, you could look at the experience and use it as an opportunity to learn and grow, having self-compassion and never doubting that you are, overall, a good student. As you can see, self-esteem is derived from external experiences, while self-compassion comes from deep inside. What Can You Do to Improve Self-Esteem and Self-Compassion? To improve both perspectives involves taking a risk. It means being willing to put yourself out there and to be open to both positive and negative experiences. It also calls for being honest about how you treat yourself and the outlook you have of yourself as a person. You can also seek out professional help for understanding how you view yourself, and how you can improve your self-esteem and your self-compassion. A therapist can work with you to explore why you struggle with self-esteem and/or self-compassion. The origin of low self-esteem and lack of self-compassion varies from person-to-person, but many times these issues may originate with your early life experiences or how you were treated when young. These experiences form the basis of how you view your world. A counseling professional can also help you learn techniques to boost both self-concepts in positive and affirming ways. Self-esteem and self-compassion shape how you see yourself and others. If you struggle with these concepts, take steps soon to make the positive, self-affirming changes in your life you’ve been longing for. Janie McMahan, MA, LMFT, works with individuals who want to improve their self-esteem and self-compassion. If you struggle with emotions and beliefs that you are "not enough," contact her at 512-362-8050 to explore how you can live your life to the fullest. As one of the most common mental illnesses, there are more than 300 million people who suffer from depression worldwide. Approximately 16 million of those people are in the United States. Unfortunately, depression affects more than the millions who are diagnosed. Depression impacts friends, family members, and loved ones of the person who is suffering, as well. If you are living with a depressed partner, you aren’t alone. While you cannot cure their illness, the following seven ways will help you help them. Mental illnesses have the most power when there’s no knowledge surrounding them; by seeking to understand depression, you begin to rob it of its power. A significant amount of clinical research has been conducted about depression. There are many articles, books, and professional resources that will provide you with insight into this illness. The internet is your friend but be smart about how you use it. For instance, don’t get stuck in a warp of scary and negative stories. Try sticking only to scholarly articles that are proven and fact-checked, and books and articles recommended by sources you trust. Many people who don’t suffer from depression claim they can relate because they, too, “have experienced sadness or low mood.” While it may be well-intentioned to claim that you’ve “been there,” this minimizes the struggle of the person with depression. Depression is more than just feeling down and out; it’s prolonged feelings of extremely low mood. Depending on the severity, depression symptoms could mean feeling unmotivated or unable to get out of bed in the morning, no interest in attending to personal hygiene, and a lack of appetite or overeating. There is no enjoyment in the activities and experiences that the depressed person previously loved to do. There may also be physical pain associated with depression. Sometimes a depressed partner may even lose relationships with friends and family. They may even lose their job. Once you’ve picked up on your partner’s depression warning signs, it’s important that they receive proper help. For various reasons, your partner may be resistant to this, so it’s crucial that you provide them with encouragement. Support your depressed partner by doing research on local therapists or psychiatrists. Provide them with the benefits of getting help. Offer to schedule their appointment, sit in their first meeting with the therapist or psychiatrist, or drive them to the appointment and sit in the waiting room with them. Do whatever you can to encourage them to seek help and support them during the process of treatment. Mental health conditions are just as valid as physical ones, regardless of the negative stigma surrounding them. Let your partner know that their illness is nothing to be embarrassed by or ashamed about. Just like you wouldn’t judge someone for going to the doctor for a broken leg, don’t judge someone for going to the doctor for a mental health issue either. It’s important that you practice what you preach. Treat your partner as you normally would; don’t make them feel different or less than because they are depressed. Let your loved one know that you are a supportive and safe person and that they can talk to you about anything. You might be met with resistance, so don’t be surprised if your partner doesn’t want to talk to you about their depression right away. All you can do is encourage them to talk to you when they’re ready. When they do confide in you, be prepared to listen. While you’ve done your own research, remember that the experience of depression can look differently from person to person. Don’t automatically assume that what you’ve read always pertains them. Depression feeds off isolation – it tells people to isolate and then it gets worse when they do. You don’t need to put your life on hold or spend every waking moment with your partner but try to be physically present when you can. Suggest outings to do the things they once loved, even if it’s as small as leaving the house to get coffee, run a quick errand, or sit outside in the sun. You cannot help another person unless you’ve helped yourself first. You might be focused on your partner’s problem, but it’s important that you’re taken care of emotionally, as well. Look into scheduling a therapy appointment for yourself so that you’re well-equipped to handle the situation. It’s important to remember that you are NOT the cause of your partner’s depression, and while there are many things you can do to help them along the way, you can’t “cure” them. Encourage your depressed partner to get professional help so that they can start feeling like themselves again. Are you, or your spouse or partner, struggling with depression? Is it impacting your relationships? Contact Janie McMahan, MA, LMFT for support and help to navigate this time in your relationship. Call Janie at 512-362-8050 today for scheduling. Dealing with an emotionally explosive spouse is no easy feat. One minute you’re reminded of how much you love them, the next you feel like you’re married to a stranger. Sometimes people feel guilty about setting firm boundaries in their marriage. However, every relationship, romantic or otherwise, will require some amount of boundary setting. Clear limits that are respectfully honored, will help to ensure that your relationship functions well. Boundaries might feel tricky or intimidating, but they’re one of the best ways to keep a relationship intact. If you’re dealing with an emotionally explosive spouse, determine in advance how much emotional expression you’re willing to handle. Then, let them know where you draw the line. For example, tell them you will not tolerate certain tones of voice, name calling, etc. If they push this boundary, let them know in a calm tone of voice that you are leaving the conversation. Tell your partner you’ll be willing to talk once they settle down. Encourage them to speak or engage you differently. Most of all, keep in mind that your boundaries deserve respect. Anger management is better achieved when you maintain your relationship standards and hold your ground. 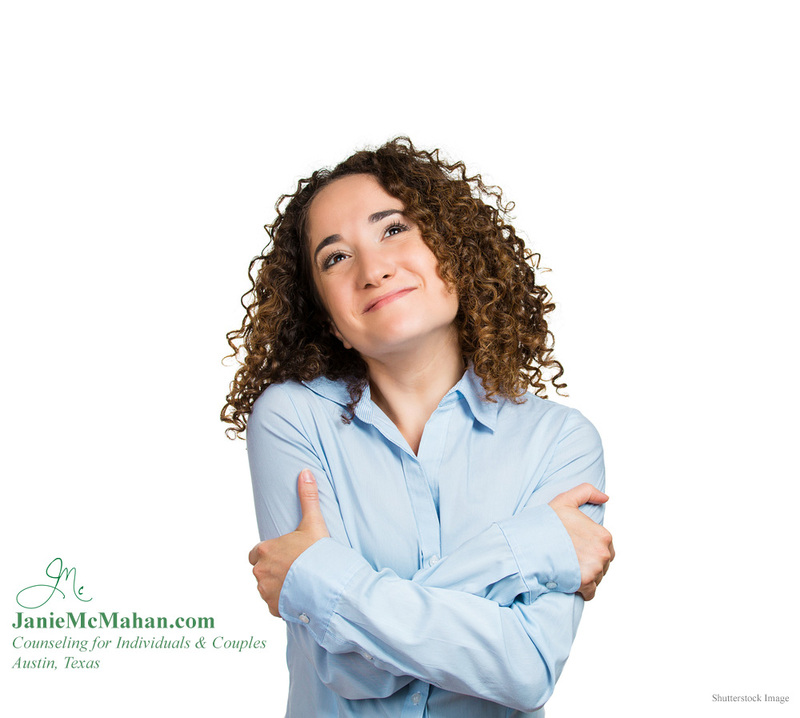 Keeping your cool, especially when your spouse is experiencing an outburst, can seem impossible. Fighting fire with fire, however, will only make things worse. No good will come from matching your spouse’s angry or dramatic tone. Of course, you have every right to feel angered by their outbursts. Still, it’s generally best to take a mental step back. Breathe. Calm yourself. Pay attention to your thoughts and body, slow them down. Wait until you are both in a place to speak calmly before addressing the problem at hand. When you’ve both had time to collect yourselves, you’ll be better equipped to have a mature, solution-focused conversation. Clearly, your spouse struggles with managing their emotions. Thus, it’s important to communicate that you aren’t out to judge or condemn them. Instead of accusing or attacking them, try approaching your spouse from a place of curiosity. This approach can help them calm and gain control over their strong emotions, which is key skill in anger management. A statement like “I want to understand what you’re feeling when you get this angry,” might help them open up to you without feeling guilty. Rather than blaming, infuse more goodwill. Try to see anger-provoking situations from their point of view. Trying to understand does not mean you have to agree with them but it may help you to gain insight into what is going on for your partner. Take a variety of factors into consideration. Your partner’s past relationships, upbringing, current stressors may be emotional issues. In addition, your unresolved relationship problems and areas of miscommunication may irritate or excite your partner too. Employ compassion before becoming accusatory. One of the most important things to remember? When your spouse lashes out at you, it very likely has little to do with you at all. This can feel especially hard to remember when you are the person receiving the brunt of their reactions. Remember, whatever the source of their anger, the battle they are fighting exists within themselves. They might make remarks that aren’t really intended for you or say things they’ll regret later. During the heat of the moment, it’s important to remember that you don’t necessarily need to accept blame. If you have an emotionally explosive partner, both individual and couples counseling are important for effective anger management. Especially before the behavior goes too far. Your spouse’s self-exploration, with the help of a professional, may help them understand themselves better. Sessions together can also help them recognize the toll their emotions take on you and your relationship as a couple. You may also want to seek counseling on your own too. Your spouse’s behavior may be affecting you more than you realize. *Important Note: These tips are not applicable to any situation where you feel you are in physical danger. If you are in a relationship where you are being physically and/or emotionally abused, please contact the National Domestic Violence Hotline at 800-799-7233. Janie McMahan is a marriage and family therapist in private practice in Austin, Texas. Refer her website page on marriage counseling for more information, or contact her at 512-739-2494. Thanks to internationally known psychologist Daniel Goleman, the term EQ is nearly as recognizable as IQ. But, what does it mean to have emotional intelligence, and can it really benefit your life? Emotional intelligence isn’t just some terminology that only mental health professionals can understand. This is an everyday, real-life concept that affects how you live your life. In fact, emotional intelligence impacts how you see the world and how you interact with the people in your life, as well. Here’s how it works. Simply put, emotional intelligence is the ability to understand the emotions that motivate you and others to behave in a certain way. And further still, this keen emotional awareness also gives you the ability to learn how to be aware of and how to manage your emotions. When you can identify your feelings and mold your behavior accordingly, it gives you a deeper sense of self-confidence and tranquility. Why would you go from reading an article about emotional intelligence to wanting to be more emotionally intelligent? For starters, Goleman’s work has proven that emotional intelligence improves recall while preventing negative behavior. In addition, this honed sense of awareness also improves your confidence level and helps to manage negative emotions. In the world of business, emotional intelligence is now considered one of the most impactful business concepts because of the positive influence it has on individuals within an organization. It’s clear that this ground-breaking idea has a reach that is key for improving the quality of your life and the quality of your relationships. With all the benefits emotional intelligence provides, you’re probably asking how you improve your own EQ. Following are a few practical steps to improve your emotional intelligence quotient. The first step is learning how to identify your emotions. The most efficient way to do this is simply to ask yourself what questions. What do you think about those emotions? Sometimes, introspection can become complicated and negative. Mostly, this happens because you’re asking the wrong questions during self-reflection. In other words, you ask why questions rather than what questions. By asking yourself the right questions, you will get more accurate answers to your introspection. Learning to regulate your emotions means learning to have influence over them. An incredibly powerful way to do this is by viewing the emotional stimulation differently. In other words, you learn to you make a conscious choice to see a situation in a different light – a more positive light. Rather than accepting that your weekly work meetings are stressful, annoying, and never-ending, for example, you choose to see them as a situation you can, and will, successfully endure. One key to regulating your emotions is to challenge the way you currently think. Another element of emotional intelligence is being aware of how others feel. This can be more challenging because each person expresses themselves differently. To master this part of emotional intelligence, you will need to observe and be attuned to feedback you receive from others. For instance, pay more attention to how others perceive your expression of emotion. Are they reacting to the way you’re actually feeling or are they reacting to the way you’re expressing yourself? How you feel and how you express yourself might not align. The best way to know is by the response of others. It’s likely that you’ve heard the expression about how practicing makes perfect. While perfection is certainly not the aim of any therapeutic goal, there’s much to be said of practice. Like with learning anything new, it’s necessary to assimilate so it all sinks in. With each new situation, practice the above steps. It may not seem natural at first but soon, with consistent practice, emotional intelligence will become second nature. Janie McMahan, MA, is a therapist in Austin, Texas. She works with couples and individuals to help them understand their emotions and behaviors. If you’d like to improve your life by increasing your emotional intelligence, contact Janie at 512-739-2494. Imagine walking down the sidewalk and bumping into someone that smells like your attacker. Imagine hitting the floor when the neighborhood kids set off fireworks. Imagine feeling paralyzed by painful and terrifying images that haunt you. That’s what a loved one with PTSD endures. Post-Traumatic Stress Disorder (PTSD) can be a debilitating condition to watch someone suffer through. Active listening is a technique that helps us better communicate with others. A person can often feel powerless, guilty, or erased by their trauma. Active listening is one way in which to give the person back feelings of power, control, and voice. Active listening can be divided into three major parts: attention, feedback, and response. Demonstrate your attention by keeping consistent eye-contact, nodding, and other encouraging signs and feedback that indicate you are listening to what the person with PTSD is telling you. Do validate the emotions your loved one is sharing with you about their experience. It is not a time to offer advice or rebuttals to what you are being told. Active listening is intended for each person to learn. Make sure you communicate your own responses in a way that is non-aggressive and leaves an opening for continued discussion. Socialization is a key part of recovery for many who suffer from PTSD. However, it may take time for a person to feel ready to engage in social activities. Be aware of what a safe social space looks like for someone with PTSD. Although you might enjoy a good party or a loud music concert, these spaces might be overwhelming for a loved one with PTSD. Learn what types of space your loved one feels comfortable in and arrange engagements around similar spaces. Small gatherings of friends or family members might be a better way to help the person with PTSD begin to engage with others until they feel more comfortable in social settings. When inviting your loved one to a social occasion, give them the power to determine whether they want to attend or not. Reassuring the person that it is an open invitation and you will not be upset if they decide to stay home, will help support your loved one’s ability to make choices for themselves based on their needs. You might invite your loved one to several events before they decide to attend one. Being persistent, but never pushy, when offering open invitations will keep your loved one from regressing inwardly and encourage them to create positive interactions. Checking in with yourself allows you to have time for reflection on the three R’s: review, reassess, and repair. Rejoice in the positive experiences you’ve shared with your loved one and keep in mind that, in certain situations, victims of trauma can act in response to their PTSD and not by conscious decision. This type of reflection helps better frame the high and low aspects of your relationship. For the moments in which a loved one seems to regress, reassess the ways in which you are connecting with your loved one. Are you practicing active listening, offering support in daily tasks, being available to your loved one when they need a calming and safe presence, and gently encouraging them to participate in activities? Being an emotional support for a loved one in need can often lead to us neglecting our own needs and health. Treating yourself to restorative practices, healthy eating, getting plenty of sleep, staying active, and staying connected with friends and family are all great ways to keep you equipped for supporting a loved one with PTSD. If you need additional support, seek the help of a counselor to help you learn new coping skills to better handle the changes and challenges you are experiencing in your relationship with your loved one. Above all, remember that Post-Traumatic Stress Disorder is not an easy equation. It will take time and patience to figure out the best way to approach the needs of your loved one and will often require a daily re-evaluation of those needs. The most important thing, above all else, is that you are present and willing. Janie McMahan is a marriage and family therapist in private practice in Austin, Texas. She works with couples and individuals in her practice, with a focus on helping them recover from a variety of traumatic life experiences. Contact her at 512-739-2494 for scheduling. The concept of listening seems to be easy, right? You just sit down, look at your partner, and keep your mouth closed and your ears open. The fact, though, is that few things are ever as simple as one may think. That’s certainly also true in this case. It’s not about just listening. It’s about listening well! In fact, really listening to our partners is a primary way to build love and respect in your relationship. Believe it or not, listening does not just mean being quiet and hearing the words your spouse says. It includes being attuned, asking questions, empathizing, and reflecting back what you heard. Marriage counseling can provide you with the opportunity to learn this skill of listening well. By conscientiously applying it, you can actually boost your intimate connection and raise your relationship to another level. What Steps Must You Take to Be a Good Listener? Every worthwhile endeavor starts with good preparation. To get ready for listening well, you must put your own agenda aside for a while and shift your focus completely away from you and to your mate. They should become the center of your interest. Be willing to make a genuine effort to tune into your spouse’s thoughts, feelings, and perspectives, no matter if you agree with them or not. The whole goal of listening well is to understand your partner. Really understand them. Because all too often we listen with the intent to respond, defend, or justify, rather than with the goal to truly understand—and nothing more. How can you achieve listening with that type of thinking? Consider some of the most important aspects of good listening that you can learn in marriage counseling. Just be there. Just listen and tune in to their feelings. Staying in the moment with your partner, being present with them, helps them not to feel alone. There’s no need for you to take responsibility for their feelings, give advice, or do anything to be “helpful” to them. Your presence is what they can trust. Asking the right questions is important. But so is taking time to truly listen to the answers. Don’t let yourself be sidetracked in your mind by what you think they’ll say. Keep an open mind, show respect and empathy, and avoid judging. Even if you don’t say one judgmental word, if you judge in your mind, it can show through your facial expressions, your gestures, and your tone of voice. Instead, explore what your spouse is telling you and wait to offer any kind of advice or suggestions until you completely understand the issue. An important part of listening is witnessing, reflecting back to your partner in your own words what you heard them say. Avoid taking their anger personally or trying to cheer them up by making them laugh. Don’t minimize their fears by reassuring them, rather find out what their fear is all about. In other words, avoid trying to change your spouse’s feelings or making them feel better. Remember that you’re simply an observer on a tour through your mate’s deepest emotions and thoughts. Take a cue from your marriage counseling sessions and be considerate and validate their feelings. To listen even better and understand more, pay attention to how your partner is saying things. They may not express what they’re feeling candidly. Tune in to the metaphors they may be using and learn to read between the lines. When you reflect back to them what they just hinted to in a more direct way, it expresses that you understood them. Be aware of who your spouse must interact with on a consistent basis and how those people affect them. Find out what stresses your mate and what makes them happy. You can do this by having regular conversations with them each day. It will help you both stay connected and reduce stress from the problems life throws at you. While you want to give attention, and listen well to your spouse during these daily discussions, don’t forget to take the opportunity to self-disclose as well. Your partner wants to know you and be part of your life just as much as you want to be part of theirs. So, don’t shy away from telling them your feelings and thoughts in return AFTER you have fully connected and listened to your partner. Communication is give and take. When you open your heart, your mate can see what you might need from them and, in turn, show you love by meeting that need. This helps you both avoid going outside your marriage to fulfill your needs and desires. Of course, marriage counseling can help you if you feel stuck in a cycle of misunderstandings and conflict. But, why wait until something bad happens and conflict or betrayal create a chasm between the two of you? Entering marriage counseling to learn new skills to keep your marriage healthy, connected, and intimate is much better than trying to repair any damage after the fact. Good communication and listening are some of the most fundamental and helpful skills you can learn. By learning to listen well, and understand more, you can avoid many pitfalls in your relationship. Janie McMahan is a marriage and family therapist in private practice in Austin, Texas. Contact her at 512-739-2494 for scheduling, or complete this scheduling form and you will be contacted soon. Sometimes called the “common cold of mental illness,” depression affects millions of people at some point in their lives. Some will experience major symptoms, while others will experience effects on the mild side; either way, the symptoms can often be difficult to identify. Part of the reason depression is hard to diagnose is that our society still places a negative stigma around it. This negative stigma can then lead people to deny that they are in fact experiencing any symptoms of depression at all. Like anything else in life, ignoring it won’t make it go away. In fact, it will likely make it worse, if you avoid getting help to address your depression. The following are just a handful of symptoms those struggling with depression will face. Some people explain depression as the feeling of living inside a black hole. Others describe a lack of motivation and everything they need to do feels like a bigger effort than it should be. Most people no longer have an interest in the things they once loved. The feeling of numbness is so strong that people often feel separated from themselves, like a prisoner in their own body, or even outside their own body. This brings up feelings of “what’s wrong with me?” but oftentimes, there is no motivation present to counter or change these thoughts. Lack of motivation feels like there is no “wind in your sails” to move you along. You may want to do something, but the ability to motivate to make changes is difficult. Feeling disconnected or detached from yourself is also a theme reported by some people with depression. Not only do they not feel like themselves, they feel like they are just watching themselves from the outside, as if they’re no longer an active participant in their own life. Depersonalization and derealization are forms of dissociation that are most often seen when someone has experienced trauma, but having emotional and physical numbness, feeling foggy-headed, or in a dreamlike state, can also happen with depression. Some people develop depression due to the aftermath of a traumatic event, such as the death of a family member, or the loss of a job, relationship, or friendship, etc. For others, depression seems to appear out of nowhere, and there is no clear explanation as to why the depressed mood has surfaced. Depression causes not only physical exhaustion but emotional and mental exhaustion, as well. This feeling of extreme fatigue arises because of the mental toll that depression takes on you. Many people who suffer from depression often have anxiety as well, which leads to an interference of sleep patterns. Oversleeping and insomnia are both commonly associated with depression and anxiety. The inability to get out of bed is in part because of genuine fatigue, but also due to a lack of mental motivation and thoughts of “why should I even bother?” For those struggling with depression, the act of going through an average day takes a lot of energy, both physically and mentally. While depression is a mental disorder, its symptoms can display themselves physically. Because mental disorders and physical disorders don’t always cross paths, when physical symptoms are present, the notion of depression may be dismissed. Nausea, joint and muscle aches and pains, headaches, digestive problems, and chest tightness or pain are all common physical manifestations of depression. Depression is an all-encompassing disorder so it’s no wonder that physical symptoms accompany it, as well. Shame or self-criticism around the ability to care for yourself is often experienced by people who are depressed. Be kind to yourself and have self-compassion for what you are going through. You wouldn’t be embarrassed by your inabilities due do a broken arm. You do not need to feel bad about yourself because of your depression either. Not showering or practicing basic hygiene, no motivation to clean your house or do laundry, changes in exercise and eating habits, are all common symptoms of depression. Recognize them and talk to a therapist or your physician about what you are experiencing. It’s important to remember that depression doesn’t look the same on everyone. There are other symptoms – bigger and smaller than those mentioned here. It’s also important to remember that you matter and that your feelings and emotions are valid. Seeking help from a mental health professional for your depression is good self-care. A therapist can help you understand what is happening, and help you toward taking positive steps to treat your depression and live a happier and fulfilling life. It’s no exaggeration that betrayal can hit you like an earthquake. It shakes your life to its foundation and leaves behind a trail of destruction and hurt. The worst part is that it often doesn’t stop there. Just like earthquakes are frequently followed by multiple aftershocks, the pain connected with betrayal due to an affair can hit you over and over again. While aftershocks may not be as ground-shaking, they are nonetheless perilous. Yes, the reality of betrayal trauma is agonizing and continuous. But you don’t have to voluntarily surrender to it. Often the best defense is an offense. So, start by gaining an understanding of why you may be experiencing betrayal trauma. Betrayal can create psychological trauma when it overwhelms you emotionally, mentally, and physically to the point where your ability to cope is notably compromised. It’s often not so much the affair that causes the deepest hurt, it’s the shattered trust and implicit belief in the person closest to you. The person you deeply loved, and that you thought loved you as well. This loss of security starts a turmoil deep down inside of you that eventually starts rising to the surface and expresses itself in various ways. What effects might you be experiencing due to betrayal trauma? Your emotions may fluctuate quickly and over a wide range. The initial shock and every aftershock may trigger rage, anger outbursts, anxiety or fear. Those emotions then often plummet into sadness, depression, numbness, emptiness or despair. Followed by hope. Only to go back to irritability and starting the whole cycle over. Due to the prolonged stress of betrayal trauma, you may also experience physical symptoms. Hypervigilance, hyperarousal, numbing, isolation, compulsive behavior, overeating, insomnia, nightmares, and flashbacks are all stress-related manifestations of unresolved emotional issues. Concentration may become a real challenge and affect work performance and your family life. Moreover, due to surging stress hormones, you may also experience broken heart syndrome—feeling like you’re having a heart attack. You may be obsessing about the trauma, replaying imagined scenarios of what happened between your spouse and their affair partner or events that you formerly assumed were harmless but now view with suspicion. At times, you may even try to connect a sequence of unrelated situations in anticipation of a future betrayal. Triggers for these intrusive thoughts can come from everywhere. Because the betrayal may have blindsided you, embarrassment and shame can lead to feelings of guilt and you looking for someone to blame—yourself. You may wonder how you could not have seen this coming, dubbing yourself “stupid” or “not good enough.” Thinking that your own flaws and failing brought this upon you, and even questioning if you’re capable of loving or being loved. Anything but accepting that the affair was not your fault. Will You Let Betrayal Trauma Forever Rule Your Life? Be assured that despite the major stress, despite the pain and agony, despite constant reminders and aftershocks, there is a light at the end of the tunnel. There is life after an affair. Now that you know why you’re experiencing trauma, why the manipulation and seeming lack of concern of the person that you most counted on to have your back continue to shock you, it’s time to take action and fight back. It’s time to address the underlying turmoil. The best way to do that is with the help of a skilled and compassionate counselor, trained in techniques to combat betrayal trauma. One who can help you explore the issues, sift through the feelings and memories, and build confidence in your ability to overcome the nagging pain. 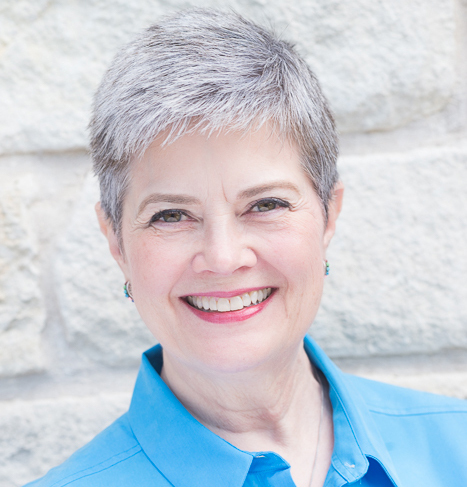 Janie McMahan is a marriage and family therapist in Austin, Texas. She works with couples and individuals to help them through the aftermath of relationship infidelity. She can be reached at 512-739-2494. Do you tend to overreact when you are angry? Do you often regret what you say in the heat of the moment and find you’re constantly apologizing or defending your actions? Are others around you often walking on eggshells due to your anger and behaviors when angry? Do you tend to hold on to resentment? Can’t let go of a grudge? Visible or invisible—you may have problems with anger management. Anger is a normal, human emotion. You’re allowed to be angry at times. But, behaviors that are displayed when you’re angry can complicate a lot of things—your relationships, your career, your physical and mental health. Often, it’s the overwhelming demands and stressors of daily life, the pressure to succeed, a lack of support, and emotional needs that have not been satisfied that rob you of your sense of calm and peace. Rather, you’re led to a place of unrest, frustration, and resentment. And with every step, you’re slipping down the slippery slope toward losing control. How do you regain your emotional regulation when you feel anger rising inside of you? It isn’t always as simple as just taking a deep breath, or as easy as just ignoring the things that make you angry. It takes a lot of focus and skill to manage your anger. Trying to manage your anger by yourself, you may give up too soon and become even more frustrated and down on yourself. However, anger doesn’t have to be your enemy. With the help of an experienced therapist, you can learn to recognize and express angry feelings in an appropriate way. You will be helped to peacefully deal with difficult people, observe and manage your own emotional triggers, calmly handle life’s adversities and emergencies, face and solve problems, and nourish meaningful relationships. To some, anger management therapy may sound like overkill, but the skills you’ll acquire can improve your relationships with others, and help you flourish and live in peace and satisfaction. Basically, anger is supposed to function as a protection. Anger is often a secondary emotion to another primary emotion, such as fear or anxiety. Anger signals when you need to correct a situation and gives you the courage and strength to stand up for yourself and others. It tells you to say “enough” or “no” when your needs are not met or someone treats you badly. And it helps you understand your underlying needs and how to attend to them. Anger management therapy can help you see that you may be afraid of feeling weak if you let go of the power anger holds. A therapist can help you become aware of your thoughts and feelings in the moment. You will learn to see what’s actually happening when you become angry, recognize the situation that triggers it, and identify the true issue. This can serve as your warning system for any future anger outbursts. 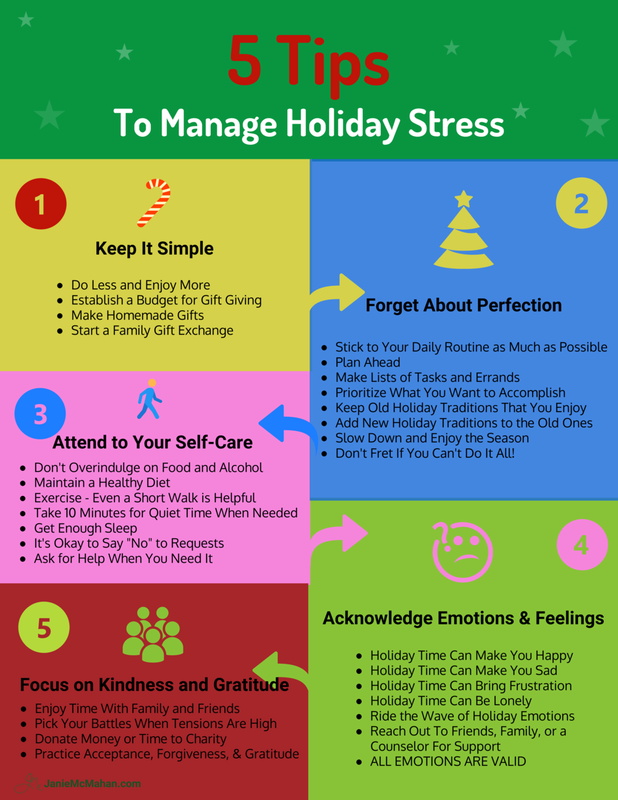 It will also help you to be proactive in reducing stress, thus preventing problems with anger from spiraling out of control in the first place. As mentioned before, it’s not as simple as just taking a deep breath. However, deep breathing exercises are a start. There are many more things that can help you calm down when you feel your anger surfacing. You can listen to soothing music, write in a journal, go for a brisk walk, dance, or jump rope—anything that helps you burn off your frustration so that it doesn’t burn you up. Find support and talk to someone. Sharing your frustration and having someone validate the emotions you feel can be cleansing. But, not everybody is prepared to hear difficult feelings in a helpful way. That’s why a therapist is the ideal, objective person to help you find insight and develop skills to manage anger. They can also teach you other self-help techniques to soothe your emotions, like relaxation skills and positive self-talk. Problems with anger usually arise when you’re focusing on what another person should or shouldn’t be saying or doing and judging their behavior as bad. Anger can also come from incorrectly assigning meaning to and event, or what someone has said. Therapy can help you learn to collect your thoughts and pause before you react to any perceived wrong situation. By admitting that you are angry, you validate your feelings and that can help you feel more empowered to look for a better solution than venting them in unhelpful way. Remember, anger doesn’t fix anything, it usually just makes things worse. A therapist can help you look at your angry thoughts and resulting behaviors, sort out why you’re upset, and determine what you can do to change that. When you challenge your negative thoughts, you can begin seeing the lighter side of matters. It’s not always as bleak and dreadful as it may seem at first glance. Seeing the humor in situations and learning to laugh at yourself can give you a brighter outlook. Anger management therapy can help you start looking at situations with much more balance. You’ll soon see that not everyone behaves exactly the way you want them to all the time. Instead of focusing on what made you angry, you will work to find resolutions in your relationships with others, and with yourself. You can learn to take up a different perspective and with empathy, put yourself in the other person’s place. See them for what they are—human—and understand the unique challenges they may be facing. Empathy can do much to neutralize problems with anger. Most of all, therapy can help you to communicate your feelings in an assertive way without becoming defensive or hostile. That’s not always easy when you’re angry, but you can learn it. Expressing yourself clearly, calmly, and respectfully is a valuable skill for any situation. So is active listening and building trust. All skills your therapist can help you learn. In general, anger management therapy can help you feel confident, connected, and calm instead of frustrated, agitated, and angry. Why not consider entering therapy today? Janie McMahan, MA, LMFT, is a therapist in Austin, Texas. She works with individuals and couples on a variety of issues including managing and regulating strong emotions. Call her at 512-739-2494 for scheduling. You and your partner have been together for a while and you think you are keeping the relationship healthy. There are date nights, shared tasks, and a framework of communication you have established as a couple. But are you really doing all you can for your relationship? This is where proactive counseling makes sense. Proactive counseling means seeing a therapist together before things get bad. That’s actually a therapy myth. Here’s why. If you and your partner attend counseling together, when the relationship is doing well, you are both much more likely to be open to each other’s point of view. If there is disagreement, with the help of the therapist, you can work through those issues. Unfortunately, most couples choose to go to therapy under duress. It is usually as a last resort. It is much easier to go to therapy when each person is in an open, loving, and caring frame of mind. Let us say that you and your partner have a disagreement, one where you need to take responsibility for your actions. Perhaps it was something simple, such as forgetting to wash the dishes. For couples who are not in a good place, such a minor lapse in memory can be the trigger point for a much larger argument. Why? Because buried resentments and negative thoughts about each other have been simmering under the surface. When you forget to wash the dishes, all those hurt feelings come back up in the form of an argument. However, if you are in a good, productive place with your partner, you can more easily accept responsibility for your mistake. Also, your partner is going to be open to hearing your apology and both of you can move on. What becomes a major obstacle for some couples is merely a speed bump for you. Another reason to attend proactive counseling is that you both will be more open to feedback from the counselor. A therapist can be a neutral third-party who can make observations and provide ideas on how you can refine communication and listening skills. Remember, just because you are already good communicators doesn’t mean you can’t learn something new! Because the counselor is that third-party, you can take a step back together and note any quirks or potential problems before they become bigger issues. For example, do you constantly please your partner at the expense of your own needs? For example, do you constantly please your partner at the expense of your own needs? Neither of you may consider that a problem now, but it could be an issue, years down the road. Your therapist will be able to give that feedback now. As a couple, you will be better able to address it in a loving manner, unhindered by disappointment or defensiveness. Proactive counseling provides a learning experience, helping you learn more about each other as individuals and how you relate as a couple. This includes both your strengths and your struggles. In turn, therapy becomes an opportunity to support each other, to know that your partner has your back, and to strengthen your loving connection. Knowing that your partner supports you is important for any loving relationship to survive. Proactive counseling is just that, proactive. It is the chance to smooth out wrinkles in your relationship now before they become canyons. This does take work, but it is much easier to accomplish when both partners are still in love, open to each other, and doing the work to actively prevent resentments that create distance. Trust is the glue that keeps relationships together. If you feel unsure about whether you can trust your partner, it may be that you haven’t established secure boundaries. Having secure limits in place can build better trust in your relationship. Here’s why they help and how to create them. Some conflicts are inevitable—even healthy—in relationships. The goal shouldn’t be to try to achieve a relationship in which you never argue. At the same time, a lot of couples have completely preventable conflicts because they don’t establish boundaries from the outset. If you won’t accept certain behaviors from your significant other, they need to know. It’s always better to be proactive rather than reactive when it comes to needs and wants. Boundaries can help you feel more secure, especially if you’re prone to insecurity in relationships. Your partner can’t fulfill all your emotional needs. But you can ask for specific behaviors that make you feel more secure in the relationship. For example, asking your partner to check in by text or phone if their plans have changed and they won't be returning home at the expected time. While limits are important in relationships, it’s essential to understand the difference between setting a boundary and trying to control another person’s behavior. In relationships, both partners should feel free to be themselves. Because you want your partner to feel free, you don’t have the right to stop them from doing things they want to do. Boundaries are more appropriately used in explaining acceptable communication and determining what you will not accept. But the list of “dos and don’ts” should be relatively short. Setting boundaries is about the tone and respect conveyed for each other. Both partners in a relationship need to take responsibility for their own words and behaviors. No one is responsible for the words or actions of the other partner. Nobody can “make” you do anything. A common pattern in many unhealthy relationships is the blame game, in which one partner says they wouldn’t have done “X” if their partner didn’t do “Y.” A healthy guideline includes refusing to accept blame for things you didn’t do. Boundaries help to establish trust. As you see over time that your limits are being respected and not violated, you come to trust your partner. Trust is something that needs to be earned by repeated behaviors, rather than given in advance. Establishing trust and boundaries requires a series of open, honest conversations. You and your partner have naturally different backgrounds and perspectives. It can take some attentive discussion to iron out the differences between you. Expect to have many conversations about establishing boundaries, as new situations or arguments come up. You or your partner will likely renegotiate boundaries as circumstances change. Setting boundaries gives you the opportunity to make your relationships stronger and more trusting. But first, you must have the courage to stand up for yourself. You need to be able to tell people about your boundaries—and to enforce them if they’re violated. It can take a great deal of courage to enforce boundaries with people, especially if it’s something new. But as you get used to setting limits and holding people to them, you’ll come to have more confidence. When you feel more confident, you know that you’ll be less likely to be treated in a way that is unacceptable to you. That gives you a stronger footing in your relationship. All relationships benefit from having greater boundaries. When you have the courage to expect healthy behavior, you will also find it easier to trust others. Before we dive straight into why intentional relationships are better, we need to establish what exactly they are. The dictionary defines intentional as “done on purpose; deliberate.” This meaning plays a role in what an intentional relationship is. It involves being active instead of passive and making things happen instead of waiting for them to happen to you. Intentional relationships are not convenient relationships. They aren’t short term and they are not dictated by the surface level stuff: physical attraction, monetary reasons, friends with benefits, etc. When you enter into an intentional relationship you are proving that you’re in it for the long run. You fight the hard fights and learn how to work and grow together as a couple. This type of relationship means not giving up when things get tough. Conflict is inevitable, and instead of running away from it, you run towards it, ready to tackle it together. This sounds like a lot of work, right? So why are intentional relationships better? It’s common for relationships to drift, even romantic ones. After so many years and children together, drifting can be natural. But those who aren’t in intentional relationships don’t care enough to prevent the emotional separation. Part of being in an intentional relationship is noticing when distance begins and finding a way to combat it. These unions have a much better chance at longevity than others. As mentioned earlier, conflict and arguments are inevitable, but in intentional relationships, you work through the conflict by practicing appropriate conflict management. You learn how to be open and honest with one another. The more you communicate through your problems instead of letting them win, the more you’ll grow closer to one another. Your partner is the person who you likely spend most of your time with. They’re the person whom which you share everything– they know your secrets, your fears, your good stuff and your bad stuff– and they love you regardless. But they can only be THAT person for you if your relationship is intentional. Having somebody you love this much and can rely on to that extent, leads to an overall healthier and happier lifestyle. Bring the best of yourself into the relationship. Continue to uphold your values and morals. Listen well, love well and show gratitude and appreciation for your partner. Support your partner in their dreams and ambitions. Believe in and support your partner. Use your time and energy to invest in them. If the two of you continually do this, you will both constantly strive to be better for the other. Life will inevitably get in the way and something will always come up. Set a weekly date night that you aren’t allowed to miss, no matter the excuse. While the big things are important, it’s the little things that add up. Find time every day to spend together – read the paper and enjoy a cup of coffee each morning or go on an evening stroll through the neighborhood. Intentional relationships can be extremely rewarding and fulfilling when you and your partner actively prioritize your life together. Interested in more ideas and tools regarding intentionality? To enhance your relationship, consider couples counseling for additional relationship care and support. Perhaps that question crossed your mind more than once after you and your new mate brought your two families together. Perhaps you never expected all the problems you’ve run into ever since that day. Why does it seem so difficult to get everyone on the same page in a blended family? Can you make it easier? How? Getting along with each other is important when you want to create a happy home for your blended family. How can you overcome the conflicts that inevitably arise and encourage family unity? Patience will keep you from forcing your blended family together. You may be very eager to have one big happy family, but pushing any family member to accept and integrate themselves into the new situation before they’re ready is the wrong way to achieve that. Allow everyone the space to feel things out for themselves and let connections develop naturally. Don’t just tell your family members what will happen and how things will change. Allow them to be part of that change and have a voice when decisions are made. Discuss the arrangements you want to make, listen to everyone’s opinion, and encourage them to suggest solutions. Be open and honest about everything that happens to help all feel secure with the new family structure. That doesn’t mean you have to arrange all sorts of extravagant outings. The best way to spend time together and encourage unity is just through everyday situations. Eat together, cook together, work in the yard together, or go out for some ice cream. It doesn’t have to be anything super special. Doing chores together can draw you all much closer. Everyone gets to feel that they contributed to their blended family becoming a team. A blended family works the best when both adults receive the respect they’re due as household leaders. But that doesn’t mean a stepparent should be too eager to discipline their stepchildren right away. Ease into your new role. After all, respect is earned. That goes for both the parents and the children. When you show respect to each other and your children, you foster an environment where respect can grow. It’s not easy for anyone—adult or child—to feel like an outsider in a blended family. Therefore, make sure that everybody feels supported. Don’t let your new spouse feel like you’re putting your biological children above them. Don’t let the children think that you care about them less than your new mate. Make a special effort to give extra support to those children that may be living in two separate households. They need understanding, care, and empathy. Living in a newly blended family is stressful for all. The question is not if conflict will arise, but when. And what you will do about it then. Provide everyone the opportunity to be heard when there are problems. Instead of proposing solutions, let the parties involved come up with their own ideas for how to handle matters. To keep things running smooth overall, consider the use of a suggestion box and regular family meetings. Don’t play referee, be a mediator. Certainly, it’s not in your best interest to speak disparagingly about your former spouse. They are, after all, your children’s other parent. But the same also goes for extended biological family—their grandparents, cousins, uncles, aunts, and so forth from that parent’s side. Hindering those connections (unless there is a very valid reason) can obstruct your blended family from becoming a unit. How can a child accept a new arrangement when it forces them to leave loved ones behind? Successfully blending a blended family isn’t an easy task but it’s highly rewarding when you begin to see all family members pull together. Still, learning to get along takes time. Be prepared to invest however much time is needed. It’ll be the best investment you can make. Do loud noises, strong smells and visuals, or rough textures tend to overwhelm you easily? Does the need for a quiet and private place drive you to withdraw when you feel swamped during a busy day? Do you get flustered when you have much to do but little time to do it? Have others ever called you “sensitive” or “shy”? These traits may mean that you are a highly sensitive person. How would you know for sure? In general, a highly sensitive person is extremely perceptive and affected by a variety of external stimuli. They are more aware of nuances that others miss, but they’re also easily overwhelmed by sensory input. The main reason for such a response is that their brain processes incoming information more deeply. What specific aspects would help you determine if you fall into this category? Feel uncomfortable in noisy environments – You may have a lower tolerance for loud music events, fireworks displays, or busy open office settings. The sights, smells, sounds, and activities in those situations put your senses into overdrive. Become quickly overwhelmed in pressure situations – When things are too chaotic, complex, intense, or different from the norm for a long time, your anxiety level increases notably. You may also struggle with staying on task when you have too many things to handle. Retreat when your senses become overloaded – You’re in need of equilibrium at the end of a busy day or week. You need quiet time in a dark bedroom or another private place to find your balance once again. Grow angry when you’re hungry – Lack of nourishment may hinder your functioning, and your frustration shows unmistakably. “Choke” when you’re under scrutiny – You most likely work best in private. But when you’re put on display, perhaps in front of your boss during a presentation, you often falter under the pressure. Have a keen sense of other people’s discomfort – You may easily recognize when someone else feels overwhelmed by a situation. Are easily moved by artistic expressions – Paintings, music, movies, or theatrical performances tend to touch you more than others. It’s not just that you have a special appreciation for creativity, but it consistently stirs your deepest emotions. Such aspects as managing your environment and time, as well as taking care of yourself physically, mentally, and emotionally, lie at the foundation of coping if you are a highly sensitive person. Eating regular nutritious meals throughout the day will help you keep your blood sugar levels balanced. Intense hunger can be very disruptive for a highly sensitive person and make it hard to concentrate. Greatly limiting caffeine intake may also help you feel more calm and collected. Limiting your exposure to stimuli that causes you problems can be done in various ways. For example: To lessen annoyance with bright lights, you could use bulbs with a lower lumen count in your home. Or you could avoid going to places you know have powerful lighting. To reduce agitation from noises, you may want to have at least one quiet space in your home to which you can retreat when you find it necessary. A packed timetable will only frazzle you. Adjust your schedule and structure your work and home life in a way that it will give you the time and space to get things done. When you can start your day calm and unrushed, it can carry you through the whole day. And, in order to get all your errands done, you may want to consider living outside an average person’s schedule. That may mean going to the grocery store in the evening or to the movie theater on weeknights. After a busy work day or an event that challenged your senses, you must take some time to decompress and find your equilibrium again. Aside from your quiet space and soft lighting, you may want to find other ways to make your home more calming to your senses. Perhaps you can decorate it in a way that is pleasing to your eyes, reduces clutter, or uses gentle and calming aromas. Seek out beautiful surroundings outside your home, during regular walks in nature, restore the peace and balance you desire. Aside from just coping with your high sensitivity, you may also want to consider how you can tap into the benefits of your traits. Yes, there are a lot of benefits. Being a highly sensitive person isn’t anything bad. You don’t need to be fixed! Consider, for example, that while you may feel difficult emotions with more intensity than others, you can also feel the most beautiful emotions more deeply. In fact, you can be highly aware and observant of your environment. Also, your capacity for picking up on matters that others miss can provide insight most people don’t have. In turn, that can help you be more empathetic—a very positive and endearing quality that draws others. This deeper insight can also inspire your imagination, allowing you to construct an intricate and vibrant inner world that fuels creativity, intuition, and clarity. As a matter of fact, high sensitivity and creativeness often go hand-in-hand. So, don’t ever think that as a highly sensitive person you can’t thrive. Quite to the contrary. Recognizing who you are can lead you to open up to a whole new awareness and understanding of yourself—one in which you thrive, not simply live! Your relationship with your parents shapes who you are. When they’re gone, a meaningful part of who you are is suddenly lost. No wonder it’s so difficult for some to make the transition into this new stage of adulthood. Yet, an orphaned adult may find that society, in general, doesn’t truly recognize their loss nor appreciate the grief they feel. After all, they’re adults, not little children. Their parents may not have been old, but they were older in age. Somehow, these facts cause others to invalidate the grief orphaned adults feel. They’re simply assumed to have the ability to deal much quicker and easier with the death of their parents than if they were much younger. When you’re an adult and lose your parents in death, you lose so much more than a close relative, even more than a loved one. Being an orphaned adult affects you in ways you perhaps hadn’t thought about before—materially, socially, and personally. Your parents may have held the family together socially. They may have taken charge of handling special events or their home may have simply been a welcome gathering spot for the family. When those dynamics suddenly change, the change is deeply felt, especially if no one else in the family can take over those functions. Parents hold memories of you as a child that nobody else has. Your definition of yourself is connected to your relationship with your parents. It’s like a mirror into your past. Their deaths may challenge you to redefine yourself. For many, their parents’ unconditional love made them feel safe and secure, even as an adult. You may not have realized how much space they occupied in your life and how important their support was to you until they were gone. It can be overwhelming to feel so alone now. When the “keepers of family wisdom” are gone, it can feel like the end of an era. Who will answer your questions about the past now? Who will be able to give you the wise advice you so often needed? And who can share their valuable life experiences to keep you morally grounded? Suddenly, you’ve become the person in that role for others to look up to. You may not feel ready for that. Aside from all of that, you may also become keenly aware of your own mortality. That alone can be a sobering—and perhaps frightening—realization. There’s no right or wrong way of grieving and dealing with being an orphaned adult. What you need and what you want during this time of your life is different for each person. But consider a few helpful points for coping with your loss. It is a big deal, even if some feel it shouldn’t be. Grief is painful, no matter how old your parents were. Don’t minimize the loss or let others do so. Be gentle with yourself and give yourself as much as time as you need to grieve, without adding additional stress to the situation. Stress can affect your mind and body. Make your health and well-being a priority. Exercise, eat well, and get sufficient rest. Without good self-care, your body and mind can’t function well. Sorting through your parent’s possessions, managing matters connected to their estate, and organizing and arranging services are exhausting jobs. Make sure you don’t overstretch yourself. Do what you can, focusing on the things that must be done first. Ask for support when you need it and accept it when it’s offered. There will probably be plenty of others that are grieving the loss of your parents in their own way. Reach out and connect with family and friends. Join a support group of people in the same situation as you. It’s empowering when you feel understood. It can bring great comfort when your loss is a catalyst for helping others. For example, you could donate some of your parent’s belongings to charity or use the skills you’ve learned from your parents to help others. To find new meaning in your life, you may also want to widen out and try new things, enjoy new experiences, or spend more time with friends. There’s no better way to honor the memory of your parents than by continuing or reviving one of their cherished traditions. Some may feel that letting go of everything connected to your parents and moving on would be better. But it can be healthy to allow your parents to continue having an impact on your family’s traditions and rituals in meaningful ways. Above all, remember that your parents’ lives may have ended, but their relationship with you has not. Their voices live on in your mind and heart. If you need help working through the transition, make time to share your concerns with a counselor or therapist. Even as an orphaned adult, your parents’ pride, encouragement, and advice can continue to inspire you to move forward. It’s been said that holding on to resentment is like stabbing yourself with a knife and expecting the other person to feel the pain. And that is so true! Resentment hurts you a lot more than the person you resent. That’s because the person who’s the target of your resentment may not be bothered at all by your feelings. They may be doing just fine and continue enjoying their life, untroubled, while you’re eaten up by bitterness and anger. Though, what if you just can’t seem to let go of resentment? What if you simply can’t forget the bad things this person has said or done? The fact is, resentment doesn’t just hurt you, it’s also your choice. ‘But my ex made me resentful,’ you may think. You see, the problem with that kind of thinking is that you’re putting too much importance on something you can’t control—the actions of someone else! However, what you can control is how you react to the situation. And resentment is neither your only option nor the best one. Why not change your approach and adopt some new strategies to help you let go of resentment and be able to live a happier life? When you recycle events over and over in your mind, you give them more power than they should have. Thoughts are simply thoughts. They don’t have to ruin your life by reminding you of the things that irritated you about your past relationship. You can take away their power by using the practice of mindfulness. Take a deep breath, stay present, and let your thoughts and emotions simply pass by. Ask yourself: Why do I keep hanging on to those feelings? What purpose does that serve? Remind yourself that you can have negative thoughts and emotions, but they need a limit. You need to leave them in the past, so you don’t waste your energies in the present on things you can’t change. Once you allow yourself to stop dwelling on the pain and the what-ifs, give yourself permission to go to a happier place in your mind. Look at matters from a different perspective. Instead of being upset that your ex moved on so quickly, call to mind that you’ll get to start over with someone who treats you with the love and respect you deserve, someone who truly values you. Manage your thoughts and emotions by accepting what they truly are—relics from the past that stand in the way of a happier future. True, you may never completely get over some negative feelings. But by focusing on the freedom you now have to pursue a happier life, you can greatly decrease the intensity of those thoughts and feelings. If you’re not ready to conjure up images of a brighter future just yet, remind yourself of what makes you smile right now. Spend time with people that love you and care about you. Reflect on all the things in your life that you can be grateful for. It’s not that your whole life ended just because your relationship with one person didn’t work out. Continue to set goals for yourself and replace the hurt with enjoyable things. Having the last say, getting back at your ex, making them understand just how much pain they’ve caused you—is that truly important? The fact is, not every offense has to be beaten into the ground. You’ll most often find that if it didn’t matter to them when you were still in a relationship, it matters even less now. What’s important now is your happiness. And if children are involved, their happiness certainly must be the most important focus. For their sake, let go of resentment and invest in raising them together as co-parents in a peaceful way. That includes setting boundaries, sticking to higher standards, and adhering to agreements, no matter how you feel about your ex. As mentioned at the outset, you have no control over anybody but yourself. Remember, your past shaped the way you are today, so will the end of your relationship. In which manner it will shape you, well, that’s up to you. But consider, if you want to have a healthy relationship with someone else in the future, you’ll have to let go of the bad memories connected with this one. Holding on to bitterness isn’t worth sacrificing your joy! Forgiveness is key. To forgive means to pardon, to set free, to cancel a debt, to let go of something. To truly forgive your ex, you have to let go of resentment. That doesn’t mean you should minimize the offense as if it never happened. No. It means you let go of the lingering pain, bitterness, and anger so that the offense no longer holds power over your emotions. What you will find is peace of mind and a sense of freedom. You’re no longer shackled by your wounds. That’s the beautiful thing about forgiveness. It’s not just something you extend to someone else, it liberates you, too! Finally! Somebody noticed my work. I can’t believe they gave it public recognition! Seems all a little over the top… exaggerated. I don’t think I deserve that much praise. Well, maybe it was something… a little. I must know my business or they wouldn’t have done that. Ever had a conversation like that in your mind? As hard as you tried to convince yourself that you deserved that recognition, doubts continued lingering. You kept feeling like a fraud, an involuntary swindler. Expecting at any moment that someone would realize the mistake they made in praising you and unmask you for the fake you truly are. You’re not alone. In fact, that feeling often affects high-achieving women. And it has a name: Impostor Syndrome. Impostor syndrome describes the fear and self-doubt of women (and men, as well) who—despite solid evidence of their competence—are sure that they’re frauds and that they don’t deserve any of their success. Instead, they attribute their accomplishments to a “lucky break” or good timing, not their own ability and competence. And that makes it very hard for them to identify and applaud their own strengths and achievements. Perhaps the worst part is that these women prolong the cycle of feeling phony with their own self-sabotaging behaviors. This includes people pleasing, excessive diligence, hiding their competence, and negating any praise they receive. Lamentably, due to constantly reflecting and dwelling on their mistakes and failures, they often don’t feel any enjoyment for the things they worked so hard to achieve. They keep pushing on to ever new heights in pursuit of reaching that moment when they feel successful. Worse, they may turn the opposite direction and completely limit any exploration of new experiences. Either way, their fear of being a fraud controls their lives. If you are a woman that can identify with these feelings and thoughts, what can you do to overcome them? Underlying thoughts—such as “everyone else is smarter than I am”—often come automatically without you ever questioning them. Therefore, becoming aware of and identifying the very thoughts that make you feel like a fraud is the very first step to overcoming impostor syndrome. There’s nothing wrong with you admitting your achievements to yourself. Accept that you had a crucial role in your own success. After all, you willingly accept responsibility for your failures—do the same for your accomplishments. Make a list of the things you do well and the areas that may need improvement. That way you can maintain a balanced view. When you have a natural skill, you may think it doesn’t count. After all, you didn’t work hard for it, so it can’t have much value, right? But be aware, humility is not the same as valuing yourself less. Humility is a good quality, if it doesn’t cross the lines into self-deprecation and paralyzing fear. No one is perfect. Even the so-called “experts” don’t know everything. It’s crucial that you adopt a more balanced view of your knowledge. Just because you don’t know it all, doesn’t mean you don’t know anything. So, stop focusing on perfection, be satisfied with doing your task well, and ask for help if you need it. There’s no shame in that. Comparing yourself to others is a trap. You aren’t supposed to live someone else’s life, you’re supposed to live your own. Social media can be an especially deprecating experience. Stay away from toxic environments that only breed envy and low self-esteem. Respect the life you live—just be you! One of the simplest and greatest techniques you can use to overcome impostor syndrome is to share your expert knowledge with others. Teaching a beginner the skills that you already possess can help you see how much knowledge and ability you truly have. And it brings deep satisfaction when you see how your expertise has helped someone else. At this point, you may have noticed how closely related impostor syndrome and issues with low self-esteem seem to be. Yet, there are subtle differences. What if you’re not sure which one you’re suffering from? A professional counselor can help. Not only can they explain the differences, but they can also help diagnose which problem you’re facing and equip you with more tools to break the cycle of fearing that you’re a fraud. In fact, for many women with impostor syndrome, individual therapy brings the greatest benefits.